Accept each moment with gratitude and humility! Accept whatever you get with gratitude and humility. Be grateful for the moment. That’s all there is to Life! This moment is all that you__and I__have. Embrace it, immerse yourself in it and you will not have any problem with it and in Life whatsoever! The first time, more than a decade ago, I attempted to read Eckhart Tolle’s ‘The Power of Now’, it went over my head. Now, when I look back, I think the book didn’t needed that many pages as it eventually had! Just the title was enough to convey the power of the message, the essence of the lesson it taught! This morning, something I read in The Hindu, amplified this learning one more time. My good friend K.T.Jagannathan, interviewing celebrated Carnatic vocalist Bombay Jayashri, in The Hindu’s op-ed page, asks her of her Oscar nomination for her song ‘Pi’s Lullaby’ from Ang Lee’s 2012 movie ‘Life of Pi’. I quote the relevant part of that interview verbatim. KTJ: What does this Oscar nomination mean to you? Where do you take-off from here? BJ: It means so much to me, Indian music and musicians. I feel I have been chosen to represent them all. I really don’t know where I go from here. But I am just grateful for the moment. That’s all I can think of at the moment. So beautiful. That she should just choose to celebrate the moment and be grateful for it! One can go on and look at the larger impacts the nomination can have in the Life of an artist like Jayashri, for Indian classical music in general and for Carnatic music in particular. One can talk of how India has once again proven to the whole world what we are made of and blah and blah. But the beauty, the joy, resides in the moment. And in celebrating it Jayashri has chosen the more evolved path – of living with what is! Well, it’s easy to celebrate an Oscar moment the realist may argue. Pointing out that it is so difficult to celebrate a tragedy. Pain. Suffering. Death. How do you celebrate such moments when all you want is for it to go away? A joyous occasion you will want it to linger on, stay longer. And a painful one, you just want it over and done with. How then do you stay in such a moment and what power does it have in our Life? You stay in a painful moment the same way as you stay in a happy one __ with acceptance. Moments don’t come labeled happy or sad. These labels you give them. Your mind is the villain – it goes on labeling it. A moment becomes sad because you dislike it. And it becomes a happy one when you like it. What if you liked every moment? Then won’t every moment be a happy one? This is the simplest and the easiest way to understand bliss and to attain it. Imagine your Life’s a big status message box, just as the one that sits on top of your facebook Wall. Each moment’s definition is a new status message. All you have to do is imagine that in Life, just as it is presently on facebook, there are no Dislike buttons and all you can do is simply Like each status message, each moment! This technique may not prevent pain from coming your way. But it will eradicate suffering for sure. For instance, you cannot prevent death in your family or in your circle of influence. The nature of Life is such that the moment birth happens, death is inevitable. So, the best way forward towards peace and bliss, in Life, is to accept death as an inevitable reality. Surely, when a person you know and love dies, there will be pain. Enormous pain. But there will be no suffering because you have ‘liked’, by accepting, the non-negotiable dimension of Life called death! If you have transcended death, if you are no longer running scared of it, what else can move you or trouble you in Life? Wanting a painful moment to go away IS the cause of your suffering. Replace that want with acceptance. Do away with all disliking and indulge only in liking what is. Because there are no ifs, buts, or logic, in and to Life! It is what it is. Period. And each moment is teaching us the immeasurable value of celebration, patience, faith and acceptance. So, deal with Life’s moments the same way as you would deal with the teacher that taught you in primary school__greet each moment with heartfelt gratitude and immense humility. Bliss and abundance will follow! 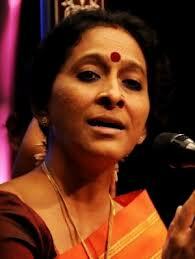 For the musically inclined, here’s the video clip of Bombay Jayashri’s Oscar nominated ‘Pi’s Lullaby’! Author AVIS ViswanathanPosted on January 14, 2013 March 14, 2016 Categories Acceptance, Art of Living, Bombay Jayashri, Death, Dislike, Eckhart Tolle's 'Power of Now', http://schemas.google.com/blogger/2008/kind#post, Intelligent Living, Life, Life of Pi, Like, Pi's Lullaby, Suffering, TranscendLeave a comment on Accept each moment with gratitude and humility! Stop looking for meanings, simply surrender to Life! Life is incredible, beautiful, inscrutable and miraculous. Only when we try to make meaning out of it do we agonize. There are many situations in Life where logical explanations are not possible. We can either accept whatever is happening, choosing to live in complete amazement of the Universe’s ways. Or we can question, challenge and grieve over our inability to explain why certain things are happening the way they eventually are. You may face a challenging situation for several reasons. You may invite the challenge upon yourself __ like drinking and driving, and crashing your car, for instance. Or you may walk into one __ like quitting a job and taking another one only to realize that your employer is a fly-by-night operator and by the time you bail out, you have lost the momentum and opportunity spectrum in the market. Or something may befall you __ like a death in the family in the most unexpected circumstances or at the most inappropriate times. When Life decides to stir your story just a wee bit, perfectly happy marriages could be ruined and very families could be thrown in disarray. In all of these, and other, situations while you may imagine that things are happening only to you and may grieve asking either ‘why’ or ‘why me’, there’s no denying the fact that what has happened would have happened any which way. Life operates with a mind of its own. It doesn’t have any specific intention to fix you. It just goes on with a plan that’s been ordained for you, a plan that you will never quite understand or know in its entirety until you have lived through the Life that you are ready to review! The most intelligent way, therefore, to deal with Life is to just accept it, surrender to it and to never question it or its rationale. Things never change overnight because you accept them or choose a higher path! They just become simpler__not necessarily easier__to handle. You are, with surrendering to Life, better off than fighting Life. Because a fight is always spewing negative energy. It is always about brute force. When you try to untangle a ball of knotted up wool, impatiently, by tugging at it from all sides, the mess will only become worse. Instead, calm, patience, diligence will help. In the movie ‘Life of Pi’, Pi faces up to Life’s inscrutable ways with an equanimity which comes with understanding the futility of fighting Life. His initial period of helplessness and brute force, resisting his situation, does not yield him any results. He concludes that he can survive his ordeal only when he surrenders to Life’s grand design. 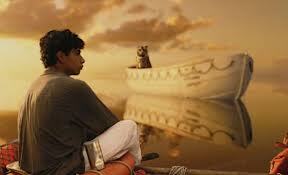 At the same time, he resolves to do what is in his capacity, which is to make peace with Richard Parker, the tiger. He works on establishing a method of communicating with the tiger and training it to understand that co-existence was the only way forward for both of them! That was his diligence. His application of thought in what he could possibly do. So, surrendering to Life does not mean giving up. It means giving in, while doing whatever is possible. Most situations in Life are pretty much like that. They are Catch 22s __ where the game is not over and there is still something, however small, that you can be doing to stay in the game. It is when we mistake these still workable, still doable situations to be ones where we are check-mated, that we encounter grief and misery. In a check-mate, the game’s over. In a Catch 22, the game is still on! With a check-mate you are usually dead. If you are alive, it is only a Catch 22. So, hang in there. However incredible your story may be, stop analyzing and trying to make meaning out of your present state. Just know that in the end you will prevail. And when you look back, like Pi does in the movie, you will find that it all happened to make you richer from the experience and wiser from the learning! Author AVIS ViswanathanPosted on December 6, 2012 March 14, 2016 Categories Acceptance, Handling Grief, http://schemas.google.com/blogger/2008/kind#post, Intelligent Living, Life of Pi, SurrenderLeave a comment on Stop looking for meanings, simply surrender to Life!